Hunger Games is a trilogy that’s a favorite of both kids and adults. As such, they are perfect to incorporate when teaching. With this in mind, here is a collection of fabulous Hunger Games resources! First, a great place to begin your Hunger Games teaching journey is the official Scholastic site. This site contains information about the books, the author, games, book excerpts and much more! First, lesson plans as well as games, assessments, and more to use Hunger Games to teach. Fabulous site with all things related to teaching the Trilogy, from lesson plans, downloads, activities and more! Next, try using these Hunger Games webquests to engage your students or children. Webquest by Charee Nelson, DCIS: This webquest will give you an opportunity to experience the game using an interactive quiz. If your survival directly relates to your reading. The webquest will also introduce you to the next two books in the series. Grades 6-12. Britta’s O’Connell’s WebQuest which is intended for students in 8th & 9th grade English. Webquest/Curriculum Activities: The aim of this curriculum web is to teach a class of 7th or 8th graders the essential elements of a story. Through the exploration of story elements they will analyze the many themes of the book, make personal connections with these themes and use higher order thinking skills to be able to synthesize what they have read to highlight and identify possible implications and repercussions of these themes. Additionally, use these printables to make teaching Hunger Games fun and exciting for all ages. Finally, use these fun crafts, games and more to enhance your classroom, party or more! 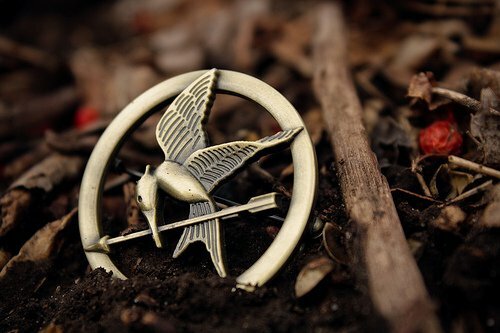 In addition, check out these Hunger Games products for even more ideas! Furthermore, keep the hunger going by reading these dystopian books. Please check back often as deals are frequently added and/or updated! Also, be sure to check out these amazing resources to use with Percy Jackson & Harry Potter! Have other Hunger Games ideas or resources? Please leave a comment below to share!